Your community affects your health and fitness. Get Fit Kaua‘i advocates for your health by providing community events and resources so that living an active and healthy lifestyle on the Garden Island is safe and easy. 15 teams competed in the 2018 Worksite Wellness Challenge – see how they placed! Mayor-a-thon 2019 is Saturday, June 22. Registration begins here on Saturday, June 1. Have energy and skills, but not in for a long-term commitment? Our community action groups have a specific goal and a concrete end date. 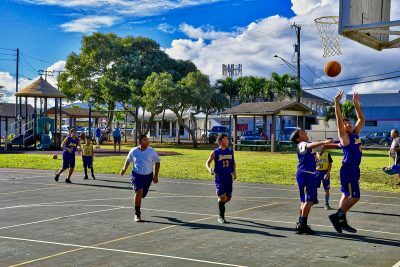 The purpose of this action group is to create enthusiasm around the renovation of Kalena Park in the Līhu‘e Town Core. 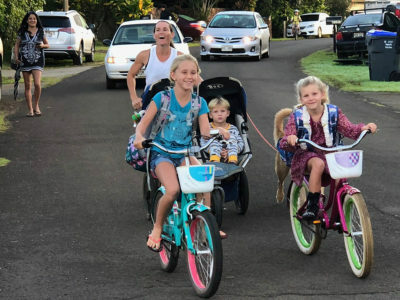 Bikes on Rice is a series of leisurely, free neighborhood rides in and around Līhu‘e intended for people of all abilities and ages to enjoy bicycling. These rides are designed to encourage and promote safe and fun bicycling throughout our community. Each ride lasts for approximately 1 hour. 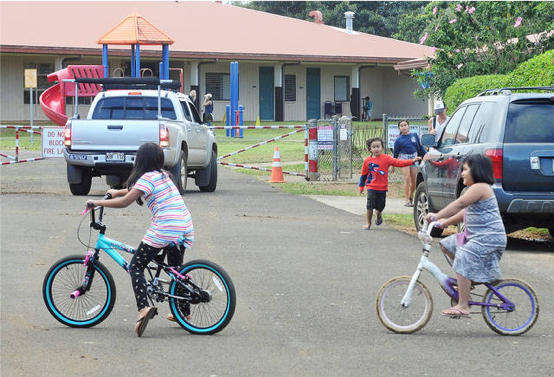 The purpose of this action group is to develop an action plan of short, medium, and long-term improvements to make it safer for Kīlauea School students to walk or bike to school. Looking to dedicate more time and make a bigger impact? Join one of our task forces! 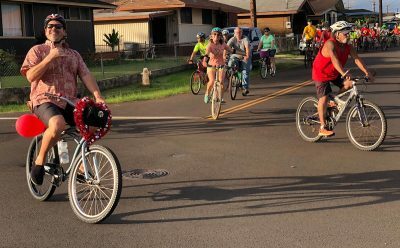 Kauai’s land use system should support active, healthy lifestyles through human-scaled, rather than automobile-centered, development. Increase opportunities for physical activity and healthful nutrition in the workplaces through healthful eating and regular physical activity. Creating safer routes for walking and bicycling to school helps combat a host of health problems facing kids today. The County of Kaua‘i is launching the process to develop the West Kaua'i Community Plan! Interested in one of our community action groups or task forces? Or just have questions? Send us a message and we’ll get back to you as soon as possible.